Ion Z had me intrigued at first glance. First, the advanced brain formula claims to offer an increase in short-term and long-term memory, and for me, I am all about bettering myself with any smart pill. I’ve tried a lot of the best brain boosters, and a surprising number of them worked – somewhat. Some give you an instant brain tune-up; others give you a kick of energy. And I’ve found the best pills on the market deal with focus. If your brain is like a flurry of waves crashing into the shore with thoughts, you’ll never be able to master your mind. You’ll lose focus, hindering any chance of being able to retain any information that you’re reading or studying. You’ll never have a clear mental vision. And this is where Ion Z claims to help people – like you and I – overcome these mental lapses that are becoming the norm. What’s Ion Z – And Why You Should Care? Great, another new brain pill. If you’re in your thirties, you’ve likely noticed that your cognitive performance is dwindling. You’re young, but tell that to your brain. Concentrating with all of life’s daily commitments is difficult enough. When you’re not motivated, your focus has gone on vacation and you can’t remember where you put your wallet, it gets very frustrating. Then I read some Ion Z reviews, I figured I might as well give this product a try. In truth, one of the main reasons I gave in was the risk free offer. There’s a $5 restocking fee, and you have 20 days to call and request a refund. From that moment, you’ll get a RMA number that is valid for 30 days to return the product. You can even return the empty bottle and you’ll get your money back. For a risk of $5, I couldn’t really complain. 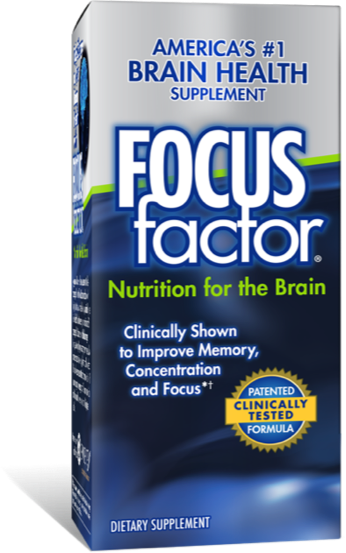 The manufacturer of Ion Z says it can be used as a natural alternative to Adderall for focus. Again, that did not relate to my experience but with nootropic blends- they don’t always work the same for each of us. Back to the question: what is Ion Z? This is one of the closest things to the NZT-48 pill in real life. Sure, it doesn’t let you wake up being the reincarnation of Einstein, but you might notice a difference in your cognitive performance. And this is what people expect: a pill that helps the brain work more efficiently. Can a pill make your smarter? You bet – to an extent. What these pills do is work with the brain’s natural chemistry to help you maximize your brain’s efficiency. You’ll be able to retain more information, recall information faster and even learn faster. But if you’re not good at calculus now, you won’t wake up being a math genius tomorrow. It just doesn’t work that way. You’ll enhance your strengths, and if you put the effort in, you’ll be able to learn a ton of information quickly. What are the Ion Z Ingredients That Help the Brain? If you read some of the early reviews, you’ll know that this is a supplement that has claims to have legit ingredients. But every person’s body is different, so there may be some benefits you experience less than others – or more. The ingredients will have an impact on your brain; this is a scientific fact. You know those times when you can’t seem to process information? This is what you need. Bacopa is an ingredient that has been shown to offer brain health and processing benefits, and it also helps promote liver and kidney health. Many people will use this herb as an alternative to ADHD medication. Eleutherococcus Senticosus is an ingredient that I never heard of before. This supplement has been linked to a reduction in fatigue. It’s a mood regulator, and it helps you overcome many of those mental “bumps” along the way that hold you back from learning and remembering information. A true staple in terms of brain enhancement ingredients. Huperzine A is a general cognitive function enhancer that helps with memory and learning. This is one of the most important ingredients because it stops the enzyme that is responsible for neurotransmission from breaking down. This is a go-to ingredient among scholars, and it has no side effects in regular doses. This ingredient is often called GABA, but it’s a mix of GABA and niacin. Studies have shown that this supplement works to boost cognitive performance, increase mental energy and reduce anxiety and stress. Gentle stimulating properties are also provided through Pikatropin. The final ingredient in Ion Z is Vinpocetine, which is another common brain supplement. This is a proven blood flow improver to the brain. And this ingredient’s increase in blood flow can further help improve a person’s memory recall. When you mix all of Ion Z Ingredients together, you have a powerful brain cocktail that works to better the brain over time. The more you continue to use this product, the better the results will be. However, my experience didn’t live up to the hype at all. In fact, it left me questioning if the product was severely under dosed or just bunk. I noticed that my “brain fatigue” didn’t ease up or disappear much at all. I stuck with it for a few days to see if maybe it just needed some time to ‘load’ into my system but I never noticed anything more than a typical caffeine pill. In fact, that is exactly what Ion Z reminded me of – a mild caffeine pill. Mental focus was not changed either. I found that I was not able to pay attention with greater ease after the first few days as they claimed. The final test for me is what happens when I stop taking a supplements. Sometimes, that is they only way I can say with any certainty what a supplement is best for. Again, I was let down. I didn’t notice any difference at all after I stopped my trial. Now, the sad thing is that I stopped my 2nd month of Mind Lab Pro to jump over to Ion Z. Maybe that is why I was left unimpressed. When you’re sitting there trying to figure out if you’re learning faster and with more efficiency, it becomes very difficult to assess what’s going on and what’s in your head. Once I started back on MindLab Pro, I was sure I could focus with greater ease. It was not a placebo-like effect either, because during the prior week of taking Ion Z, my focus was all over the place. Oxygen levels in the blood are boosted, which helps a person stay motivated and more alert. Cerebral blood flow to the brain is increased and improved memory recall is the result. Neurotransmitters are repaired, allowing for a boost in cognitive function. GABA calms the user down to allow for a better overall learning experience. See, it’s all about letting the body work through the chemical reactions naturally so that you can boost your brain’s function. But making those claims is one thing, delivering on them is altogether different. Again, maybe it was just me or a bad batch of product but I cannot recommend this product to our readers.